Night Lovell Taps Lil West & Wifisfuneral For "Goodnight Lovell"
Home>Music> Night Lovell Taps Lil West & Wifisfuneral For "Goodnight Lovell"
Night Lovell's "Goodnight Lovell" looks to be one for the nocturnal animals. 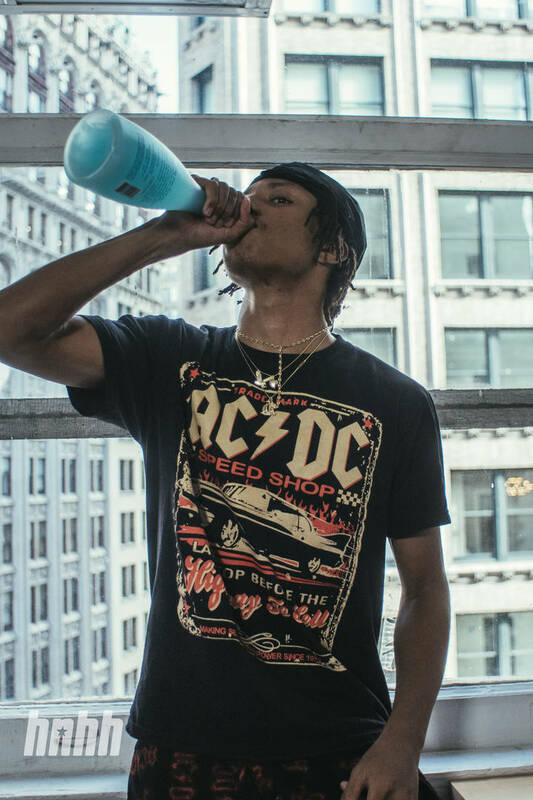 Night Lovell is an unsung hero to his fanbase. Those who have been following the Ottawa rapper since day one have already marked their calendars for the arrival of Good Night Lovell, his upcoming album. Though an untimely delay led to a burst of frustration from the rapper, it would appear that the ship has since been righted. Next Friday, on February 22nd, fans will be able to cop the latest from Lovell, who will be holding it down with an eighteen track effort. The rapper took to IG to share the tracklist, which features appearances from Lil West, $uicideboy$, Wifisfuneral, and Gnar. Otherwise, Lovell is handling the bulk of the album dolo, which bodes well for those seeking a personal drop. Check out the tracklist below. What better way to ring in the winter season than the poetic stylings of Night Lovell? J. Cole & Dreamville Announce "Dreamville Brunch"
MUSIC Night Lovell Taps Lil West & Wifisfuneral For "Goodnight Lovell"